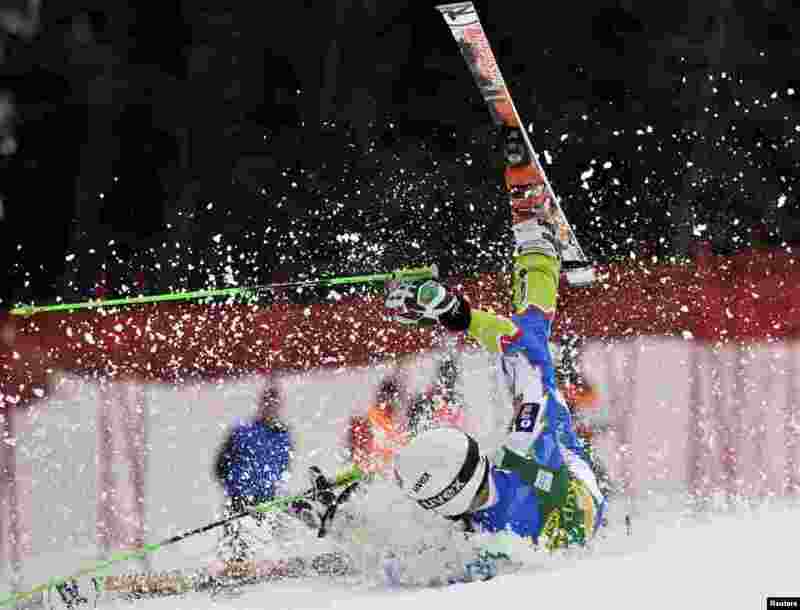 2 Misel Zerak of Slovenia crashes during his first run of the men's Giant Slalom event at the Alpine Skiing World Cup in Kranjska Gora, Slovenia. 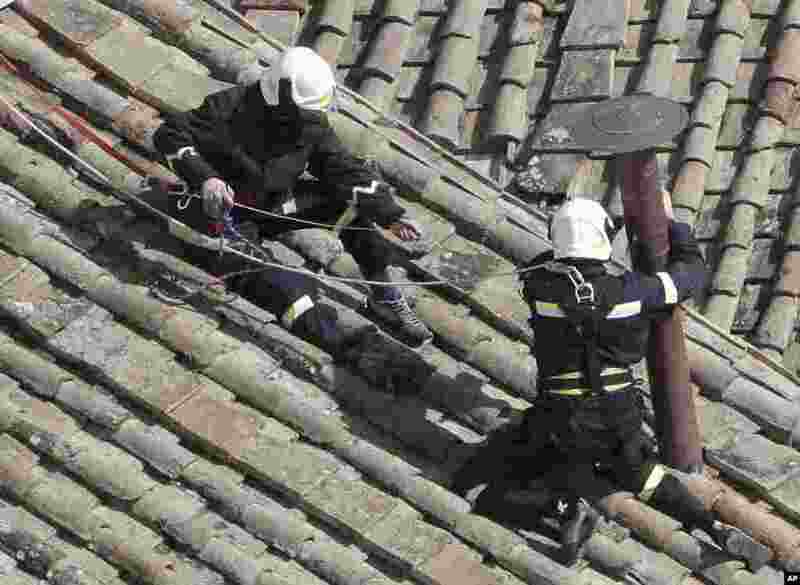 3 Firefighters place the chimney on the roof of the Sistine Chapel, where cardinals will gather to elect the new pope, at the Vatican. The conclave date was set during a vote by the College of Cardinals, who have been meeting all week to discuss the church's problems and priorities, and the qualities the successor to Pope Benedict XVI must possess. 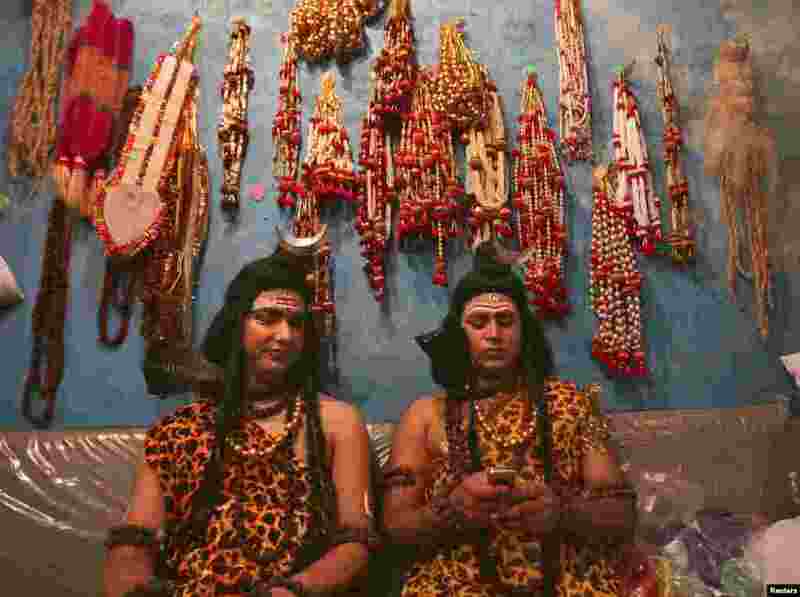 4 Artists dressed as the Hindu Lord Shiva read a message on a mobile phone as they prepare to participate in a religious procession ahead of the Mahashivratri festival in Jammu, Nepal. 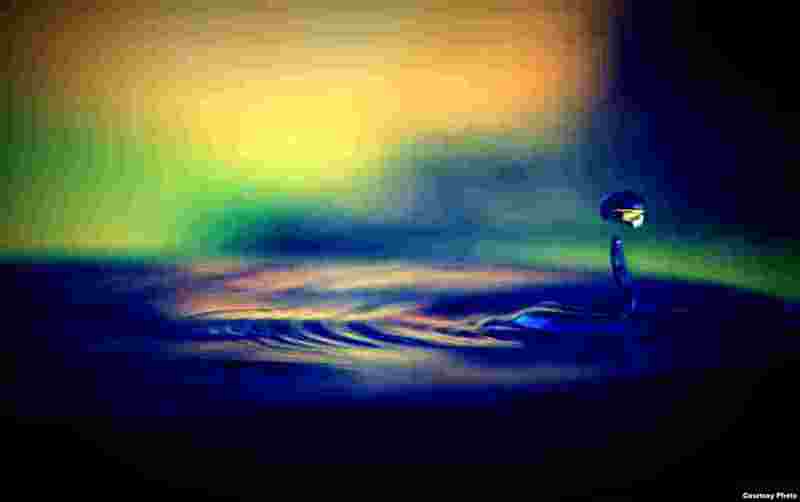 Hindu women across the country celebrate Mahashivratri, better known as Lord Shiva's wedding anniversary, so that their husbands will be blessed with long lives.